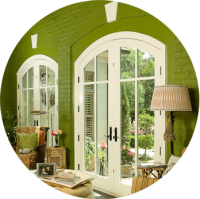 BBD Lifestyle helps you find easy, attractive solutions to common window treatment challenges. We are pleased to present to you our exclusive product line of window treatments, blinds and shades. Roman shades, Pleated shades, Interior & Exterior Roller shades, Aluminum, Wood, and Vertical blinds, Elegant sheers, and Motorized systems for you to select from. Our product lines bring style, comfort, safety, privacy, and light control. BBD Lifestyle helps you design and put together a home automation system or motorized system that is practical, easy to control virtually any device in your home integrated with your whole-house audio and video system, home theater, lighting, shades, security, climate, communications and more. Motorized systems are available for blinds and shades, as well as draperies. Shutters have traditional yet sophisticated look which compliments modern or traditional style. They provide lasting elegance and long-term value. BBD Lifestyle offers a wide range of materials to fit every budget. Make your selection from faux wood with a protective outer coating or natural stained or painted hardwoods. Drapery works equally well in an urban apartment or country manor. BBD Lifestyle offers custom drapery styles that are handmade to your exact specifications. Roller Shades provide tons of options: large windows, small openings, preserving your views, small head box, multi-functional window opening. . . These shades give any setting a clean and simple look. BBD Lifestyle offers a variety of colors and fabric types. Exterior shades are great solution to varying weather conditions. They are practical, robust and feature a weather proof finish. 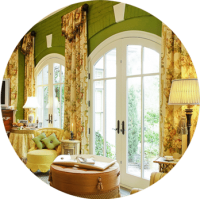 The Roman Shade is our most decorative window treatments. They provide privacy and calming glow when lowered, and a full-window view when raised. Designed with horizontal and vertical vanes that are soft and beautiful. Louvers rotate to control the light passing through or they can be closed for full privacy. Pleated shades can nearly fit nearly any window size. You will find the right solutions for your decorative or sun protection needs. Pleated shades offer wide choice of colors, textures and opacities. Horizontal Wood Blinds exude tradition and character. The 2″ and 1” size of the slats and the variety of natural or stained wood finishes easily coordinate with the different types of furnishings. The shades, which are made from natural reeds, bamboo, slats, and grasses, provide rich coloring and textural details. They are found in many styles from roll-up to classic fold-up designs. Vertical Blinds bring both practicality and durability. They block 95-99 percent of ultraviolet light, and increase a window’s insulation value by 37-123 percent. Vertical blinds feature variety of colors, textures, and embossed patterns. Mini & Micro Blinds are affordable and practical. 150 colors and variety of finishes are available. The slats sizes 2”, 1” or ½” offer multiple alternatives for matching the décor. © 2018 BBD Lifestyle. All Rights Reserved​.